Julia, the lead designer and horticulturalist at Wimberg Landscaping since 2011, earned her degree in Horticulture and Landscape Design from the University of Cincinnati. Julia employs her 22 years of vast plant knowledge as well as hardscape design experience to make her clients' dreams and visions a reality. We asked Julia about her design process, trends she is identifying as well as her design inspiration. 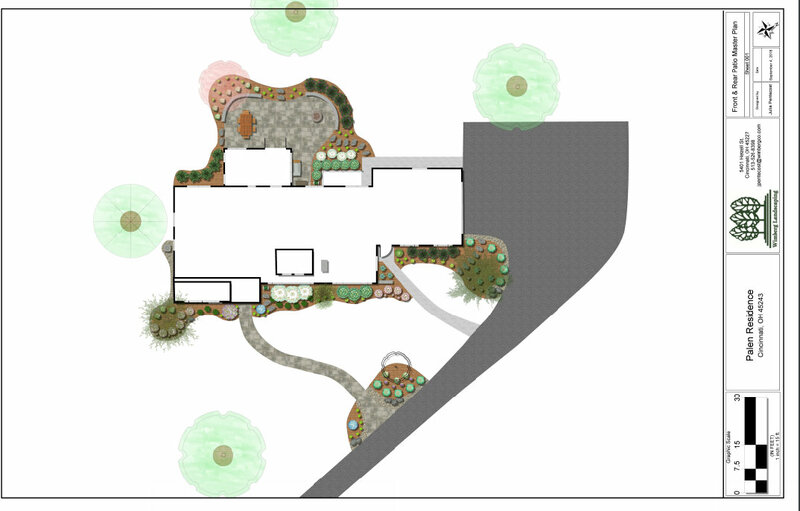 Wimberg Landscaping (WL): What do you consider first when evaluating a client's existing landscape? Julia Pentecost (JP): When I look at any landscape I first look to see if it complements the home and the space. Then I take into consideration the condition of the plant material. WL: What trends in landscape design are you seeing in the Cincinnati area? JP: Fire elements in the landscape are in demand. It can be as elaborate as a new gas fire pit, to a simple extension of a patio to accommodate a portable fire pit. Another trend is outdoor kitchens featuring a built-in grill, counter, cabinets and other kitchen elements. When it comes to plant material, sustainable, native and edible plants are gaining popularity. WL: How do you describe your landscape design style? JP: I design with the client in mind so every design is different. No matter the design style, I like the landscape to be interesting in every season and sustainable. The gardens at my home have strong structural elements and lots of colors and textures. WL: Why does it behoove an experienced gardener to work with a designer and landscape company? JP: A landscape company can take care of all of the not-so-fun chores such as pruning, edging and mulching. Our services afford the homeowner more time to work with his or her plants and enjoy time in the landscape. Also, a landscape company can identify and safely treat problems as they arise in the landscape such as fungal and insect problems, including diseases that aren’t always easy to treat. Many experienced gardeners will work with someone like myself to tap into our knowledge base and experience. Anyone who gardens knows that there is always more to learn, from design techniques to new plants. Partnering with a designer is a great way to gain perspective from someone who shares the same passion for plants. WL: What keeps you motivated and creatively inspired? JP: I love looking at landscapes everywhere I go, such as cityscapes, parks, home landscapes and arboretums. I'm inspired by what I see in nature every day. Julia employs modern technology to make it easier for clients to understand the design that is being presented to them. 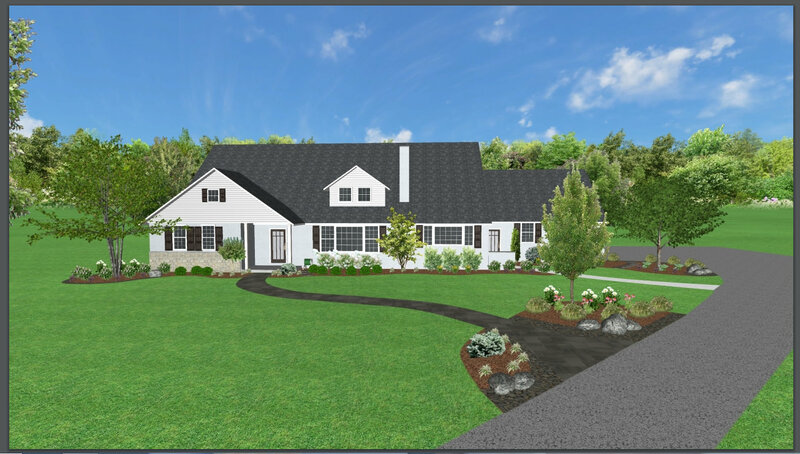 Several views of the landscape are presented to a client so they can envision the garden before the first plant is even installed.